Isaiah. That’s why. I’m a little in love with him. Plus, Rachel sounds like a fun heroine. Plus, this one sounds a little more suspenseful than the other books in this series. “Lives in jeopardy?” <– What’s that all about? Gots to know. Plus, the cover = fangirly droolfest. Isaiah needs some happiness. For serious. 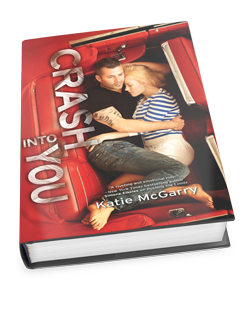 I’m definitely excited for this third installment by Katie. As awesome as Pushing the Limits was, I loved Dare You To even more! I was hoping for some additional development of Isaiah, and she must have read my mind. I’m really excited for this one too! I thought Dare You To was better than Pushing the Limits also. Hopefully the third one will be even better!!! Great choice!